“O, honey, I’ve shrunk the cats!” The weekend just got a tad more adorable! 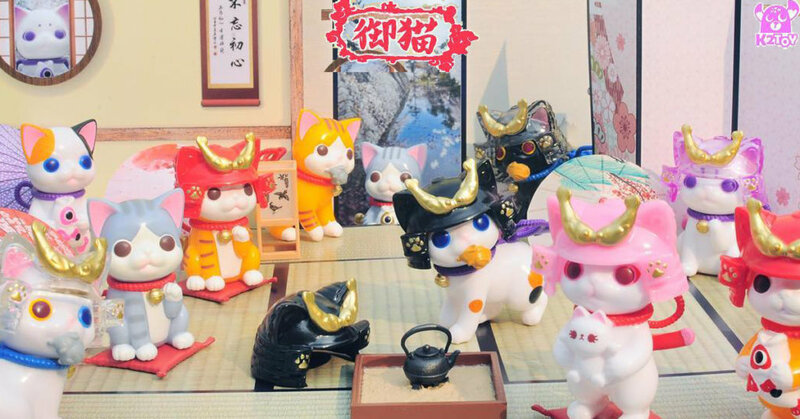 Remember back in October 2017 when K2Toys “Ohonneko” NOW the smaller Ohonneko blind box series designed by K2toy and Black Seed Toys are ready to invade your display, we don’t blame you for crying as those eyes and oversized Samurai hat pulled at your heartstrings. the mini series contains different poses and various colours coming in a case of 12. Will these Ohonneko blind box series be the best 3 inches your honey will get? Your favourite Ohonneko characters now in Mini blind box form! Collect all 12 including 1 special chase figure! Pre-orders start December 3rd 2018. Find Katherine Kang on Facebook and Instagram.